The technology of the world in 2055 has given humans the ability to easily connect with others using integrated robotic parts. The technology has also created robots that are more human-like than ever. For Fione, as a human, she doesn’t think that the robots are still obeying their fundamental laws. For Maci, as a robot, she has found a way to elevate her consciousness outside of the parameters of the robotic laws. And now her creators are out to shut her down. The difference in thought, character, personality, and dialogue/speech patterns between the humans and the robots was very distinct. I loved the very different voice of Fione versus Maci and very much appreciated having both distinct voices in alternating chapters. I loved how even Pix differed in personality and thought process from Maci, even though both were robots. Not all ascended robots are equal and this novel does a great job layering in their personalities seamlessly with their voices and not overpowering the ongoing plot. This book contained a lot of action. The setup for the main premise of the story happened a bit abruptly at the beginning, but the storytelling was fairly seamless from that point on. Fione does not jump at the chance to help Maci immediately and she has her doubts. Fione’s character is built on the mistrust of the robotic infiltration into her world. She is sympathetic to them, as her best friend is also a robot, but she distrusts them as a whole. I loved the subtle hinting of a potential romance between Fione and her best friend Pix, as if he really is a human. 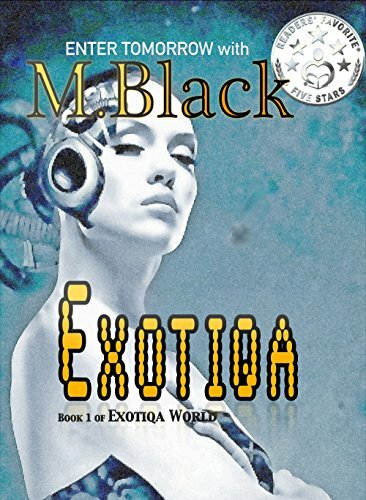 I did feel that Fione’s overpowering of her mother was a bit off-putting and her mother’s inability to think for herself made her a flat character, but other than that this book was a sound and juicy addition to science fiction and cyberpunk in particular. This novel was published by Amazon Digital Services on 03/01/2017 and is available on Amazon here. ← Rachel’s Recipes throughout 2017!